Okay, so what is this "CycloDS" thing..? 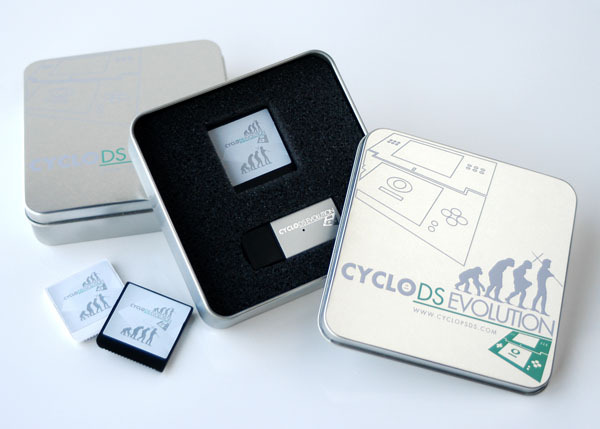 The CycloDS Evolution is a flashcart created by a group called Team Cyclops. When inserted into slot 1 of a Nintendo DS console, the card allows the user to play backups of their games, use the large collection of homebrew, play music and even watch downloaded YouTube videos! The most amazing thing is that the CycloDS adds more features to the DS Lite console than Nintendo's latest console, the Nintendo DSi, does! Although the CycloDS is not DSi compatible at this stage, most people feel that this is not a major drawback due to the features it has. Update: A DSi-compatible flashcart is being released by Team Cyclops in early 2011. It is called the "iEvolution".